Jobseekers and professional should know by now how much a powerful LinkedIn profile can impact their job search, as well as how a poor profile can be detrimental to their online networking success. According to Jobvite, approximately 89% of recruiters/employers use LinkedIn to cull talent on LinkedIn, so it doesn’t take a genius to know that your online footprint can make the difference between being hired quickly and languishing in limbo. Those who don’t get a second look are jobseekers that ignore the importance of every component of their profile. So what components of your LinkedIn profile should you focus on most to avoid the disapproval of recruiters and employers? This is a trick question for eager jobseekers. All of them! Rule number one: every single piece of your LinkedIn profile is important, from your photo to the Personal Information section. This series will look at the components of your LinkedIn profile that make it a winner, not one that drives visitors away. Component #1, your photo matters for two reasons. First, it is part of your personal branding. Visitors will recognize you and feel comfortable opening your profile. Every time you post in update, your attractive mug will appear on your first degree contacts’ home page. If you’re worried about age discrimination, let go of your reluctance. Second, the alternative is displaying a default, ugly light grey box. This is a turn-off, and I personally don’t open profiles without a photo. Because the majority of today’s profiles sport a photo, recruiters are suspicious of profiles that don’t have a photo. What should your photo convey? Your photo must look professional. You’re not posing for friends at a family picnic, standing with your wife and three-year-old daughter, hiking in the mountains, raising a pint in an Irish pub; nor should it be an animation or caricature. These are signs of immaturity and unprofessionalism. Most experts agree that your photo should be a tight shot of your face and upper shoulders. Please don’t use a photo that misrepresents you; such as a high school or college photo, while in fact you’re in your forties or fifties. This will only cause you embarrassment and further suspicion. Component #2, your title needs to describe you effectively in 128 characters or less. Don’t worry, that’s plenty of space for you to tell your story. It can neither be too brief and general nor lengthy and contrived. It must accurately describe the value you’ll provide to an employer by explaining who you are, where you sit in the labor market, and the return on investment you’ll bring to companies looking for outstanding skills and accomplishments. You’ve also been told that keywords are important to being found by recruiters and employers. Your title, therefore, must be rich with keywords. Carefully scan the job descriptions you run across and note the keywords and key phrases employers use. Your photo and title are the first components of your profile employers will see. If you are curious as to what a powerful title looks like, type in the Search field financial analyst, business development, certified project management, marketing manager, or any occupation that fits your interests. Chose the ones that you’d like to emulate, and the ones that contain the keywords which match the jobs you’re pursuing. You’ll get a good sense of how you should structure yours by doing this. We’ve looked at just two components of your profile. 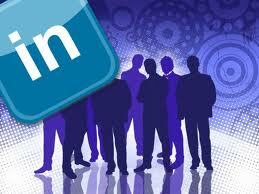 One hundred and twenty million people are on LinkedIn; more than one-third are jobseekers. With this kind of competition, you can’t afford to present a poor image in just two components of your profile. Next we’ll look at the summary section of your LinkedIn profile. This entry was posted in Career Search, LinkedIn and tagged branding title, key phrases, keywords, photo, snap shot on March 10, 2012 by Things Career Related.